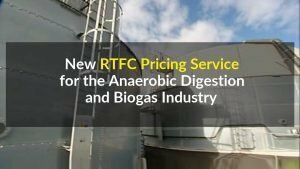 RTFO Biomethane Price Information is predicted to become a hot topic very soon for upgraded AD plant owners interested in selling biomethane into the UK bio-fuels market. Start-up company Energy Census has identified this and is plugging a yawning-gap in the available published market price information with their weekly [RE]fuel report. It is offering the regularly updated renewable transport fuel certificates price for free during their trial period, bio-fuel market price reports. These reports are predicted to become essential reading to biomethane producers in the coming years. Read on to find out why that is, and how important it will become over the coming years. It is no secret that the UK government is committed to ambitious targets for decarbonising road transport, while simultaneously reducing crop based diesel bio-fuel production. It has to be able to show rapid increases in renewable energy use in transport, to have any hope in maintaining credibility for its pledges for climate change reduction. Biomethane producers are in a very strong position to help the government here, because they hold the key to government compliance. If the government has not realised it yet, it soon will. The only proven technology capable of delivering sufficient energy, quickly enough, to come close to meeting these targets is biomethane from biogas. Nothing else has the tried and tested technology which can attract the necessary investment. Only biomethane purified from biogas can deliver on this. The government has a long-standing, but rather blunt instrument to encourage the use of renewable energy in road transport. It’s called the RTFO. RTFO stands for Renewable Transport Fuel Obligation, and for any fuel to be paid the “RTFO incentive payment”, an associated “RTFO Certificate” must be available for each batch of fuel sent to the fuel purchaser. The UK government hopes that AD Plant Owners will increasingly sell their output as compressed biomethane (CNG) (also known as RNG – Renewable Natural Gas) to the road transport fuel market. It makes very good sense for this to happen, both as one of the most energy efficient uses of biogas, and has other benefits in, for example minimising wasteful transmission losses in alternative uses. So, all those who favour climate change reduction and the decarbonisation of industry should support this, and thus the RTFO incentive scheme (RTFO) needs to work. But will it work? Biomethane producers have plenty of other ways to sell their product, other than into the bio-fuels market. For, example many will already have installed injection equipment to supply their biomethane into the natural gas grid. They would only logically choose to sell into a more volatile market if they know enough about prices to be confident that while selling into that market their risk of loss, will be handsomely rewarded in larger payments over a period of time. The bio-fuels market has always been volatile, and will be likely to be even less stable with the increased use of bio-fuels. The AD plant operator selling into the market will have to cope with both a varying fuel price per unit of energy, and changes in prices of the certificates. The certificates are trade-able and prices for these are likely to get even more volatile. Many will simply not be willing to take-on these risks and will seek out alternative private buyers for their energy who will pay guaranteed prices for long contract periods, and ignore the potential benefits of the premium RTFO Certificated fuel payment. However, as in so many other markets, selling energy as a commodity will always be a balance of risk of volatility against price stability, where those that understand the market and are willing to accept more risk will over a prolonged period win-out handsomely. The wise biomethane producers will be those that are continually updating themselves on the current market prices for this commodity, which will vary according to the underlying price of methane. The RTFC is the price, in pence, of one single certificate. As these certificates can be traded, and demand can rise and fall at various times, and the price of the certificates fluctuates. Producers of biomethane who are able to claim the RTFCs would do well to link their sales contracts to the independent RTFC market prices [RE]fuel provides, so that they are making sure they are always selling at the market price, even when that price changes over time. This is where, in the future, the RTFO Biomethane Price information provided by [RE]fuel will be invaluable to the biomethane industry. 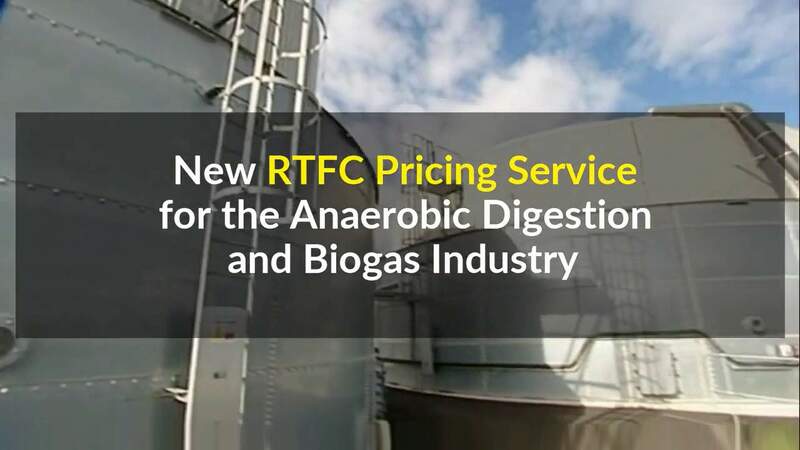 Biomethane is rewarded 1.9 RTFCs per kg (3.8RTFCs if derived from waste) under the RTFO, which puts an obligation on all major petrol and diesel fuel suppliers to blend 4.75% renewable fuel. If they fail to meet this target, they can purchase RTFCs or pay a buy-out price of 30 ppl. The target is going to ramp up quickly, hitting 9.75% by 2020, placing significant increased demand for biofuels. The spreads that [RE]fuel are publishing in their current reports (RTFC-RHI) show the difference in pence per kwh and pence per litre between what an AD plant would receive for their gas if they were to supply into the transport sector vs the heating sector – ie, at current prices, they would get twice as much per unit of gas sold if they supply into transport. The government has indicated in its RTFO updates this autumn, that it will be seeking to ensure that biomethane producers find it worthwhile financially to sell their gas into the bio-fuel market. However, the AD industry currently has little knowledge of the biofuel market, which is currently dominated by bio-diesel producers. That’s where the new start-up company [RE]fuel has stepped in with its bio-fuel market price reports. As biomethane plants come on-stream in the UK, with energy to sell for the best price, there will inevitably be a rising demand among AD plant operators for biomethane selling prices. Which is why producers of biomethane who are able to claim the RTFCs would do well to link their sales contracts to the independent RTFC market prices [RE]fuel provides, so that they ensure they always sell at the market price, even when that price changes over time. Visit www.census.energy and register for the reports (currently there is no charge). All views expressed herein regarding market conditions and future trends while based upon an informed interpretation of existing information are likely to be subject to change and may go up or down. It is the readers responsibility to make their own informed decisions and no liability is accepted for any loss incurred from the content herein, or content referred to, or linked to herein. Interesting post. I have been looking to find out about how RTFC’s can be applied to biogas plant energy producers. For the first time I now think I have understood the basics. Many thanks. I heard that it won’t be long before the new RTFO scheme becomes a reality, and that it has cleared a final hurdle, with House of Lords approval. Now that is good information. We can tell that a lot of time and effort went towards this post. More people should be made aware of these prices RTFO. This is awesome. Wish it was the same here. Great info. I’ve no idea how I would have found it without this. Thanks. Only wanna admit that this is handy. Thanks – but the RTFO concept is hard to understand.